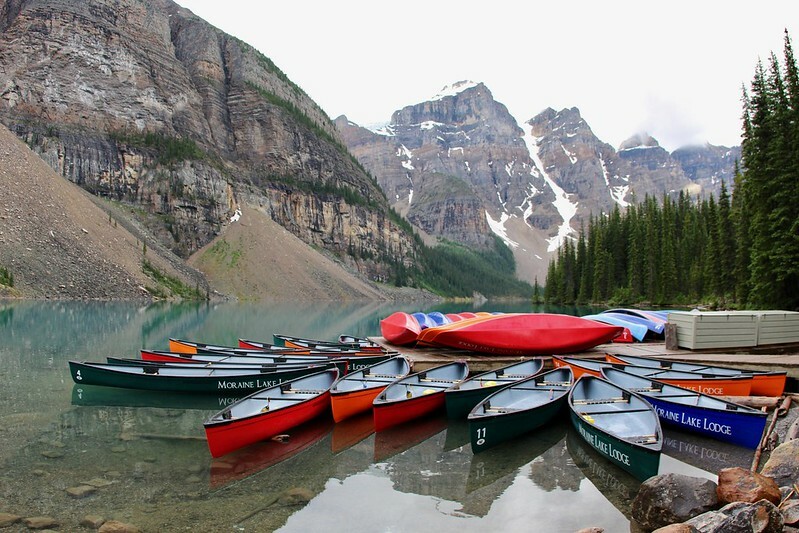 The Canadian Rockies – So Many Things To See And Do! For all those worried about the cold weather on the beautiful Canadian Rockies, we have this to say – that despite the weather, the Rockies is the best place to enjoy a pristine wilderness holiday. There aren’t that many places in our world anymore that offer such an amazingly diverse range of landscapes and activities. If you’re into the spectacular outdoors, if you’re into great backcountry hiking, kayaking, drives and wildlife spotting, head straight out to the Canadian Rockies. The very word Takkakaw stands for ‘magnificent’ in the aboriginal Cree tongue. These fabulous falls tumble down from a height of 384m (1,260 feet). 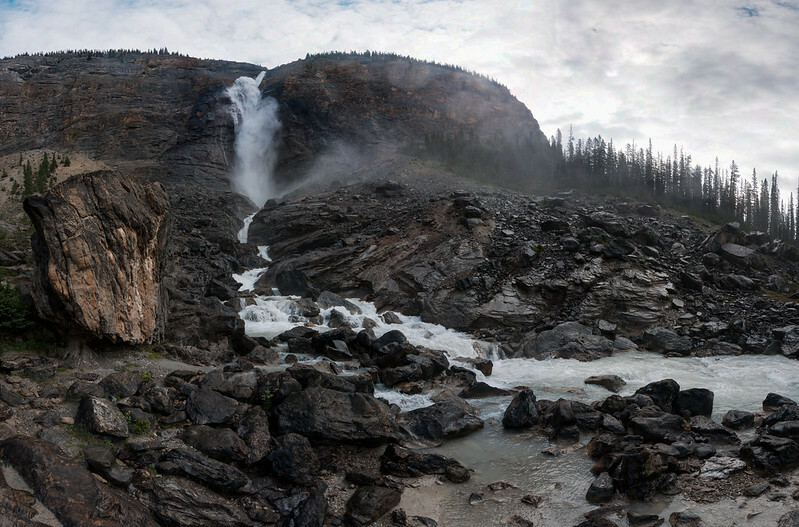 The highest falls in all of Canada, the Takkakaw is fed by the Daly Glacier which originates from the Waputik Icefield. The best way to enjoy these falls is to hike the Iceline Trail that begins close to the Takkakaw Falls; one of the greatest hikes in the Rockies. The trail climbs to a platform high up that offers the most spectacular glacier views ever. From there, you descend to lovely spring meadows in the Little Yoho Valley, check out the Laughing Falls and then visit the Takkakaw Falls. A visit to the Takkakaw Falls is top on our list of things to see & do in the Canadian Rockies. Tip: Be sure to sign up with a professional trail guide whose knows the terrain well. Sign up for Canadian Rockies tours that include riding in a fully enclosed grass-fronted gondola cabin for eight minutes to the summit of Sulphur Mountain. Glide up over the tall treetops to the top of the Rocky Mountain peak, enjoying fabulous views all along the way. Once you reach the top, you’ll experience the most jaw-dropping mountaintop view you’ve ever had. Tip: Even though it looks dangerous, you can get a bird’s eye view of all six of the Rockies’ unbelievably-lovely mountain ranges if you stroll further along the ridge-top boardwalk. Lake Louise is famously known as the turquoise lake, for a good reason. This incredibly dramatic expanse of emerald-green water backed by the amazing Victoria Glacier literally punches you in the viscera. If you want an uninterrupted glimpse of the lake, best get there at sunrise. You’ll get to enjoy the most wonderful view of all – Lake Louise coming to life slowly as the rising sun sets the soaring mountain backdrop to fire. Want to make a day of it? Tip: Sign up for the Plain of Six Glaciers hike, probably one of the most spectacular day hikes in the Rockies. It’s one of the best things to do in Canada. The Maligne Lake is nestled cozily in the midst of a ring of protective mountains, like a precious child in the enclosing arms of its mother. All the lakes in the Canadian Rockies are fed by the glaciers, but Maligne Lake is the largest of them. 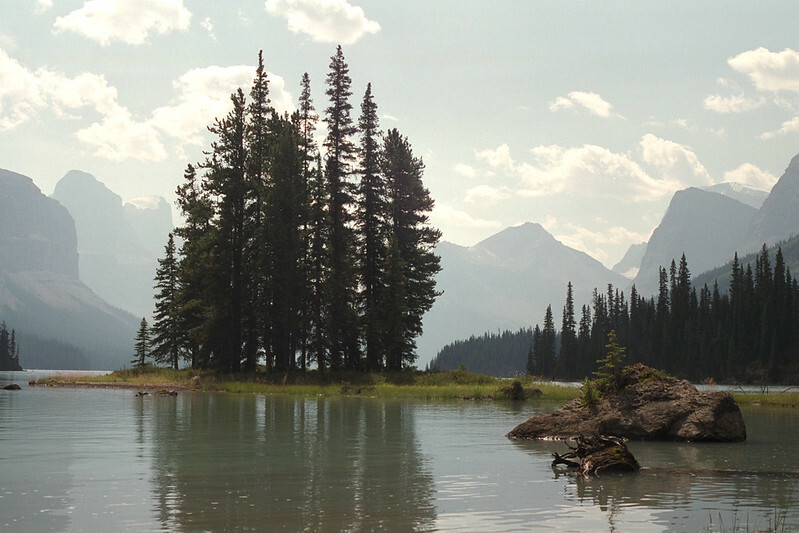 Hire a boat and cruise out to the fabulous Spirit Island on the Maligne Lake. Be sure to get plenty of pictures of the incredibly-blue waters of the lake and the stunning lofty peaks around you. Tip: Make the trip during late afternoon, when the light is bright enough to justify photography. Spot Some Grizzlies, Cougars and Moose! 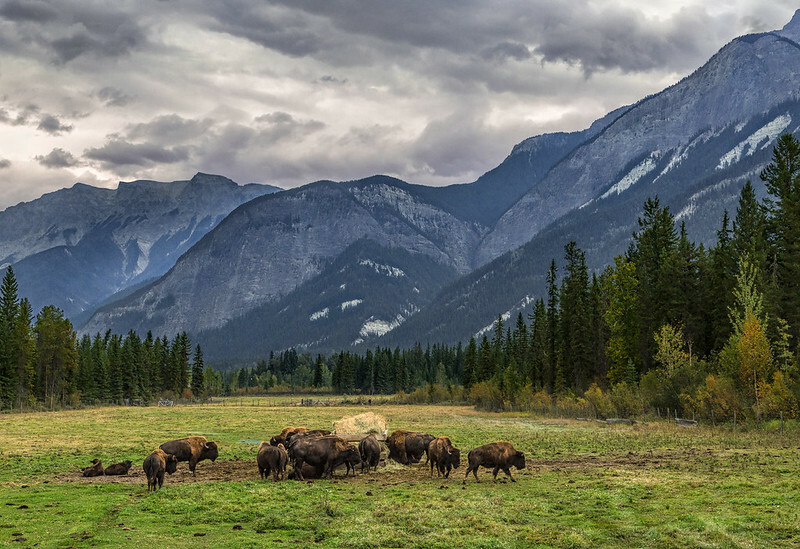 The Canada Rocky Mountains are rife with wildlife; they roam free here and there’s a severe hunting restriction so rifle or bow hunting is very limited. You can, of course, shoot them with your cameras. Keep an eye out for large mammals such as grizzlies, moose, black bears, wolves, deer, cougars, coyotes, elk, and big horn sheep. If you’re a wildlife enthusiast, the dazzling Rockies will be your home destination. It’s easier to spot the wildlife during dusk and dawn, since that’s when they come out to hunt for food. Tip: Head out to the Rockies during spring or fall if you want to capture images of the wildlife here, particularly bears and moose. The incredible Moraine Lake is snugly set in the rugged Valley of the Ten Peaks. There are many stunning lakes in the Canadian Rockies, but the Moraine Lake is the most visually stunning of them all. This lake is surrounded by incredibly lofty mountains, rock piles and waterfalls that come together to create a landscape so stunning, you’ll wonder if it’s a movie set or something like that. The lake’s waters are a vivid shade of turquoise that appear very dark emerald when the glaciers melt in spring, and a lighter turquoise during fall. If you want your share of pure mountain air, sit by the lakeside, or go canoeing and hiking alongside it. Tip: Avoid the tourist rush during the day by visiting it close to dawn or in the late afternoon during your Canadian Rockies vacation. Everyone knows that the hot sulfuric waters of the hot springs in the Canadian Rocky Mountains offer a relaxing cure to stressed-out bodies. Be sure to get your share of hot soak at the Banff Upper Springs, Radium Springs and Miette Springs. If you visit the springs after a day of hard hiking into the Alpine Meadows, you’ll enjoy them even more. 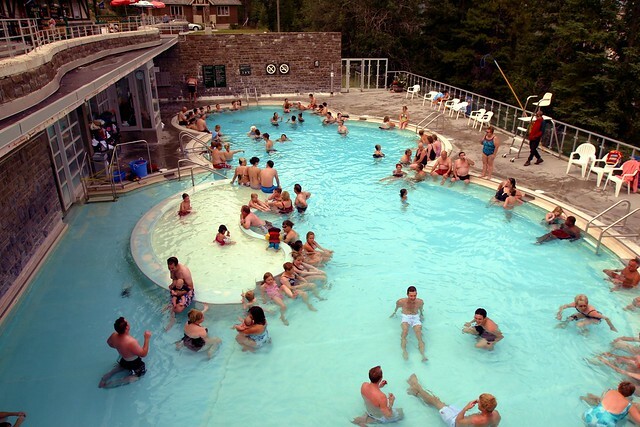 Banff Upper Hot Springs is located close to Banff Town, at the foot of the Sulphur Mountain. If you want luxurious spa amenities complete with bathhouse and all, then head to Banff Upper Hot Springs. If you’re more into nature and want to experience a hot springs set in a canyon setting, visit Radium Hot Springs in British Columbia’s Kootenay National Park. Miette Hot Springs in Jasper National Park contains the hottest mineral water in the Rockies. Tip: If you’re looking for a private, cozy little hot springs just for you and your partner, head out to the Ainsworth Hot Springs which also has a cool cave in the rock where the hot springs extends. Well worth obtaining a Canada Visa, just for the hot springs! If you’re looking for a spectacular drive amidst the Canadian Rockies, then head over to the double-lane Icefield Parkway (also known as Highway 93 North), that links Lake Louise to Jasper. 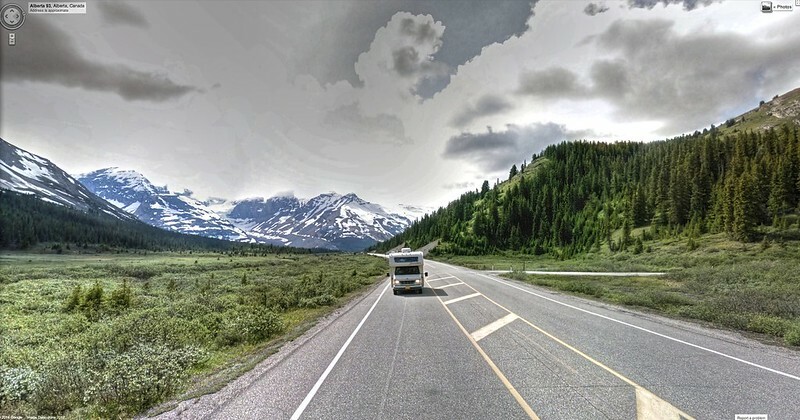 This spectacular highway stretches 232 km (144 miles) along the Continental Divide, passing through soaring rocky mountain peaks, sweeping valleys and icefields, turquoise lakes, ancient glaciers and tumbling waterfalls. Tip: You’ll also spot a variety of wildlife along this stretch – coyotes, deer, big horn sheep, black bears and even wolves and grizzles too, on occasion. Ride The Most Luxurious Train In The Rockies! Capture the wild beauty of Canada’s west from the Rocky Mountaineer train, as it travels through the jaw-dropping majestic Canadian Rockies. Experience the glory of black lava cliffs giving way to canyons interspersed with pristine glacial lakes; watch as turbulent rivers crash and boil among the rocks; check out the incredible wildlife along the way – bighorn sheep, grizzlies, black bears and wolves. On the train, you’ll be delighted to experience cooked-to-order, plentiful breakfasts and lunches and snacks, plus an unlimited number of cocktails to nurse as you watch the scenery pass by – one of the top Canada points of interest on your tour. 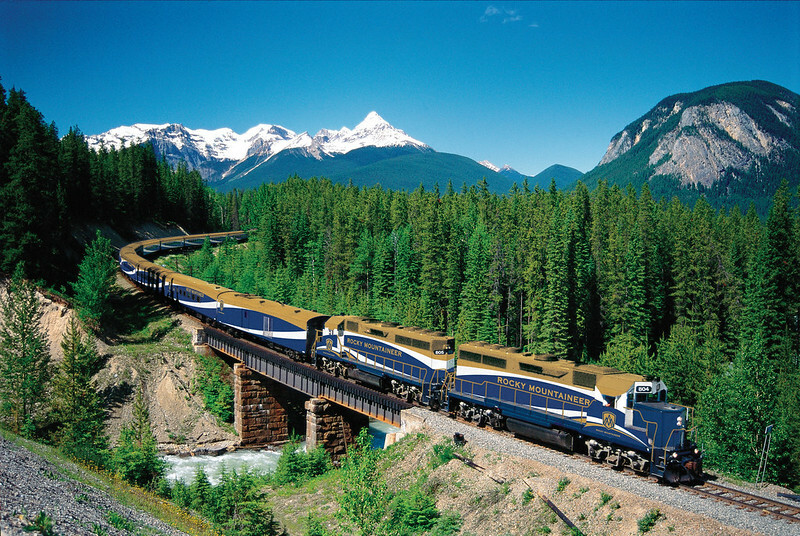 Tip: The Rocky Mountaineer travels through several unique routes; sign up for the one you want to see. Yoho National Park has a gem of fabulous beauty, one that encompasses some of our world’s most visually stunning mountain scenery. Lake O’Hara is an exclusive mountain enclave that has beautiful lichen-covered rocks, jewel-like blue lakes, and breathtaking vistas. 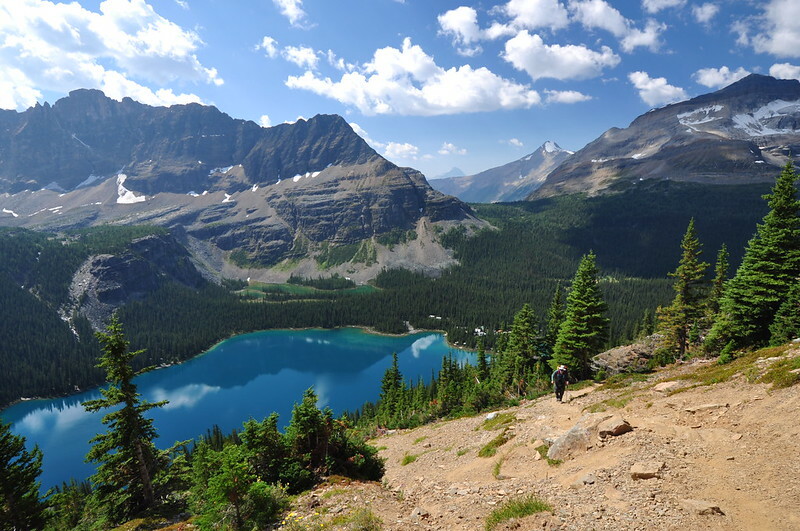 You’ll come to the lake when you hike along the most impressive day hikes in the Rockies, the Alpine Circuit, one of the best Canada places to visit. The lake is a grizzly bear sanctuary, so you’re bound to see many of these magnificent creatures as you hike. Tip: You’ll have to book your tickets months in advance; there’s a limit on the number of visitors each season, order to protect the mountain wildlife and plant life. The Canadian Rockies, despite the cold glaciers and the forbidding ice mountains, are actually very tourist-friendly. For example, if you’re not able to hike into the mountains, you can ride on the Rocky Mountaineer train and take the fabulous sights in. You can ride the gondola cabin to the top of the Sulphur Mountain and get your share of enjoyment there. You can stay at a beautiful lake-side resort and enjoy the magnificent views there. There are many ways to enjoy the Canadian Rockies, so be sure to book your tickets today. Such a magnificent view, it so wonderful and lovely. I wish I could visit it soon. This is a perfect country to spend a vacation trip with your family and friends, it will surely become one of the most enjoyable and memorable vacations for everyone.